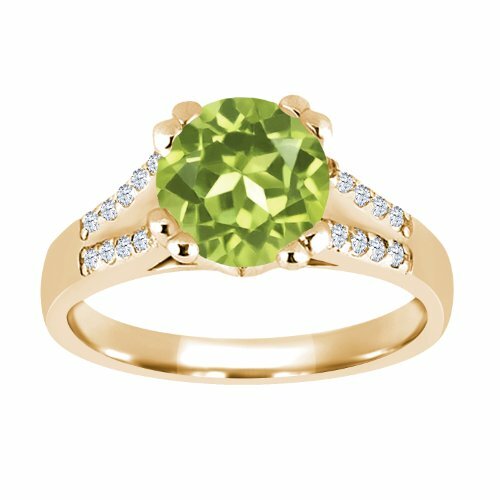 Nothing compares to the glossy green glow of a shining peridot. 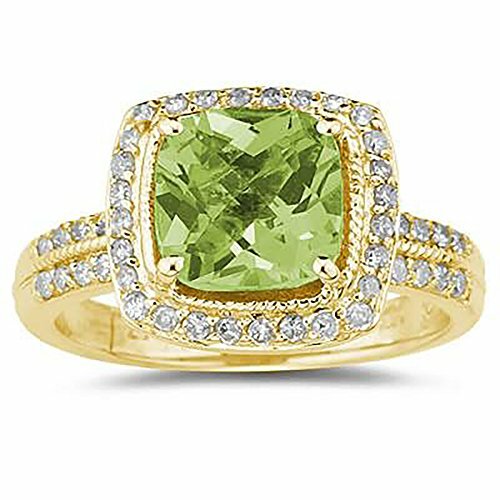 This ring from Apples of Gold art deco collection embodies the beautiful of the 5mm light green stone and pairs it with excellent craftsmanship. 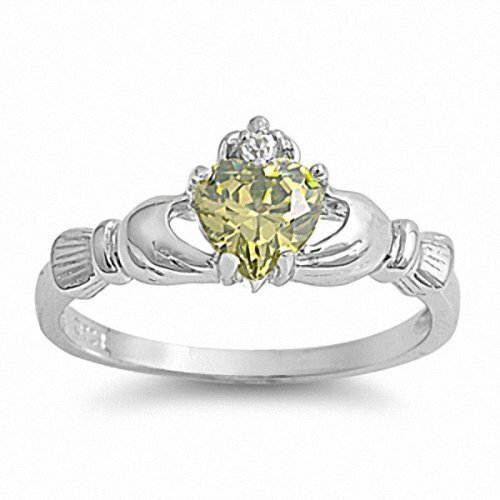 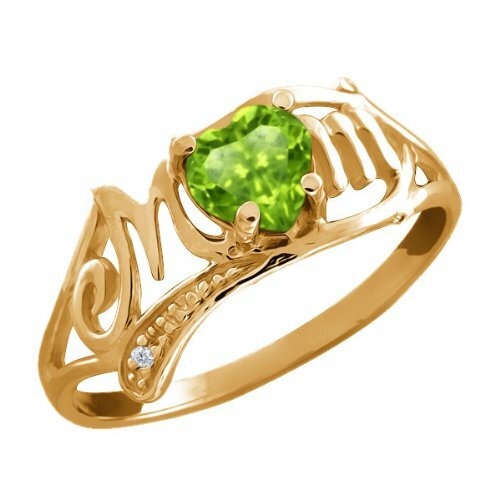 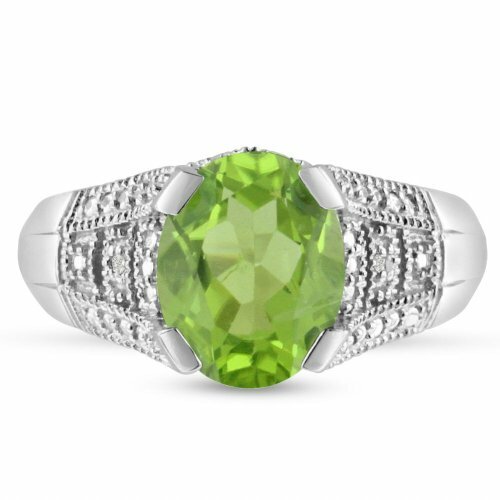 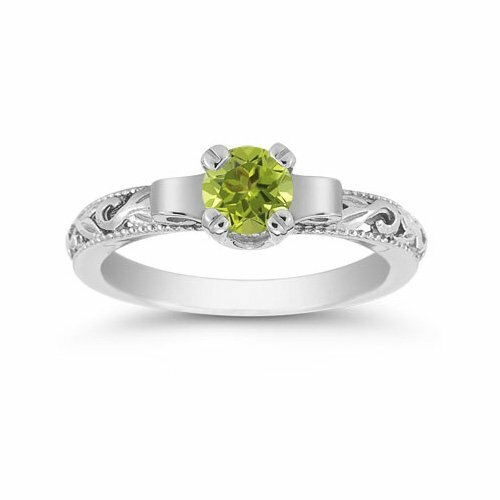 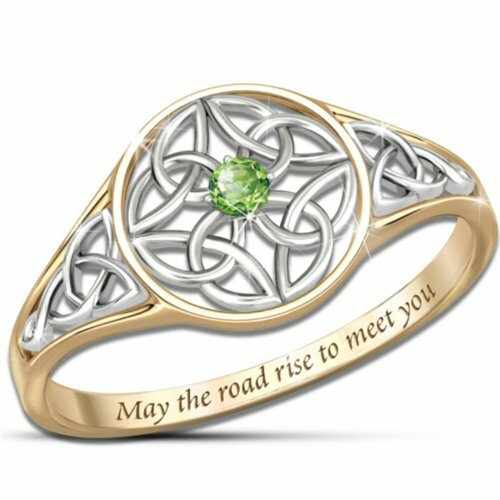 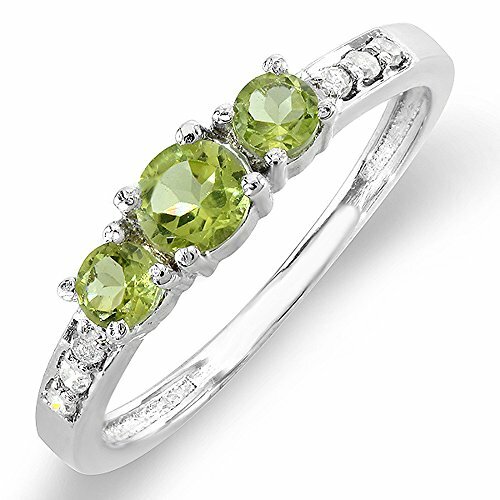 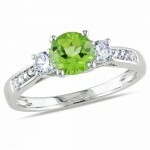 The white gold mounting for the peridot is set above the band to give the gemstone a starring role in this ring. 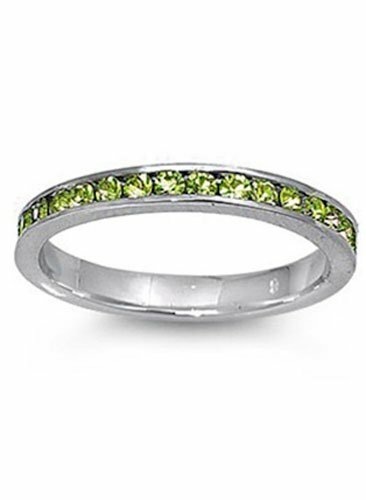 The band, also made of white gold, features elaborate scrollwork that truly shows off the art deco design. 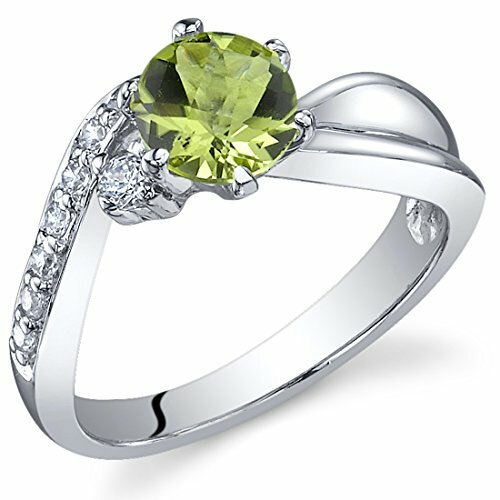 Two milgrain edges finish the look for this lovely peridot ring. 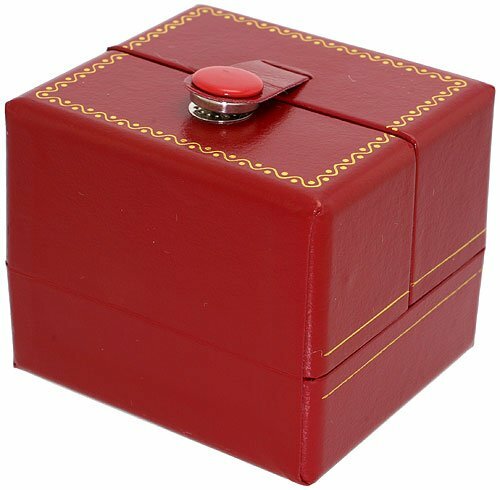 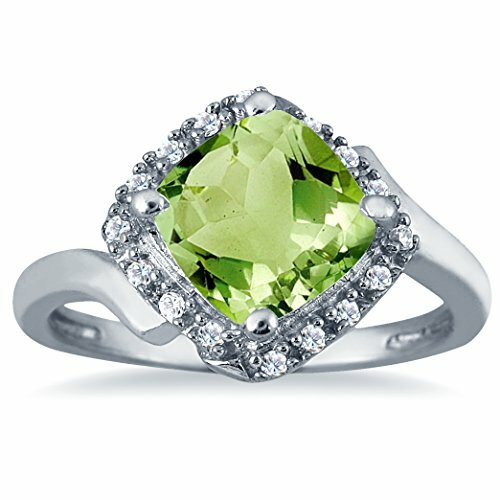 Gemstone Information: No. 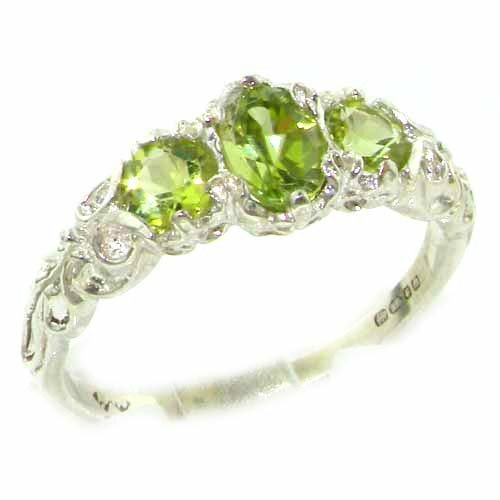 of Gemstones 1, Gemstone Type Peridot, Gemstone Size 5mm, Gemstone Carats 1/2 Carat, Rating AA+. 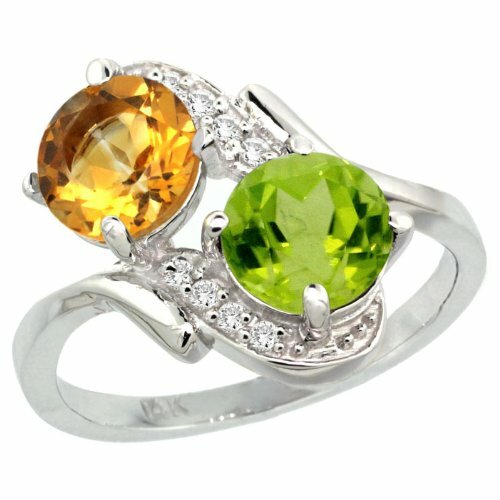 Gold Information: Gold Type 14K White Gold, Gram Weight 3.8 Grams. 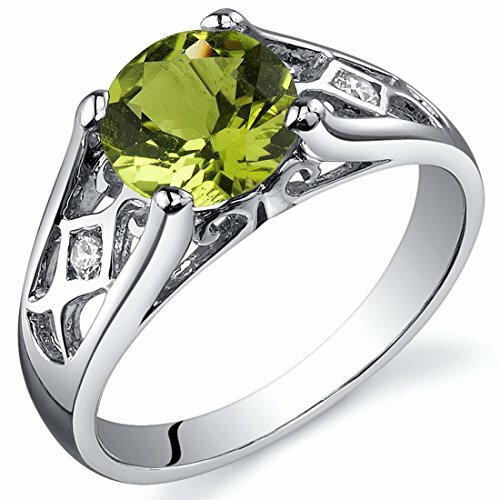 Ring Measurements: Width 2.8mm, Setting Height 8mm. 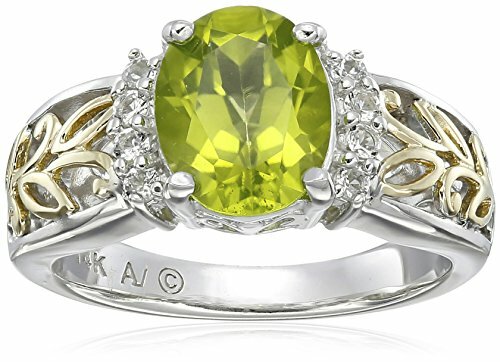 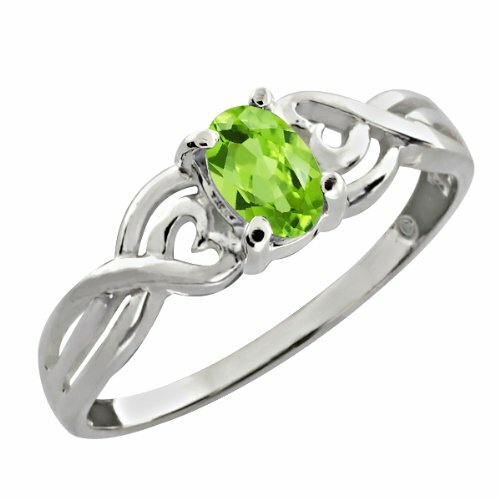 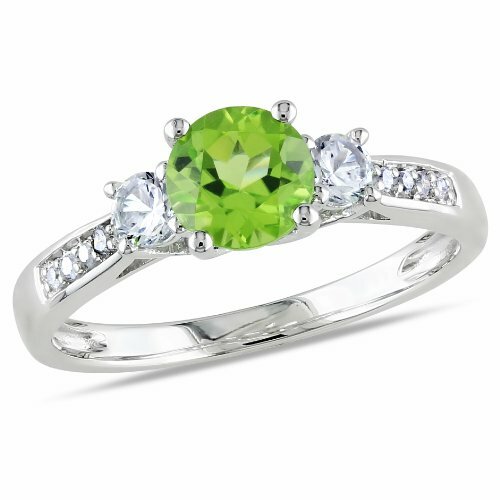 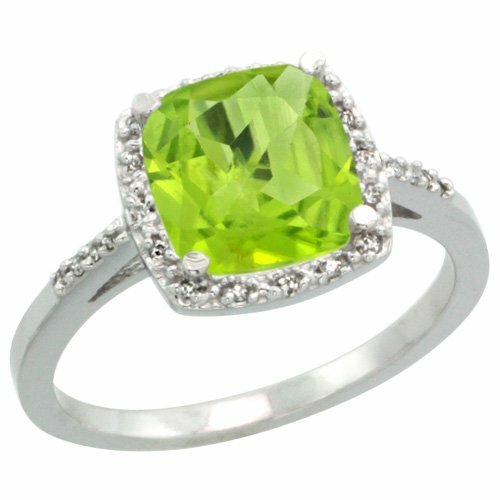 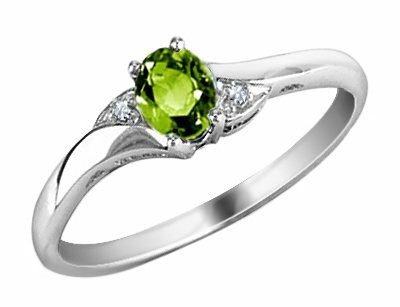 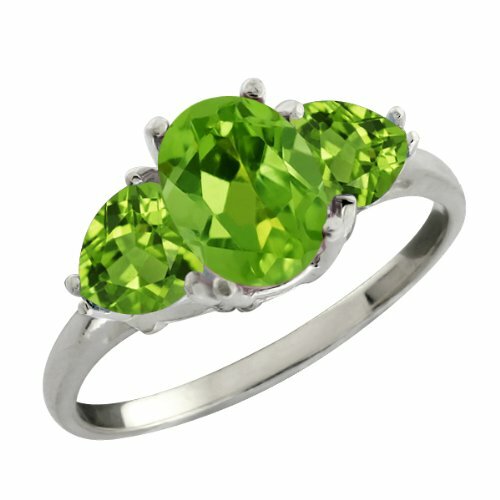 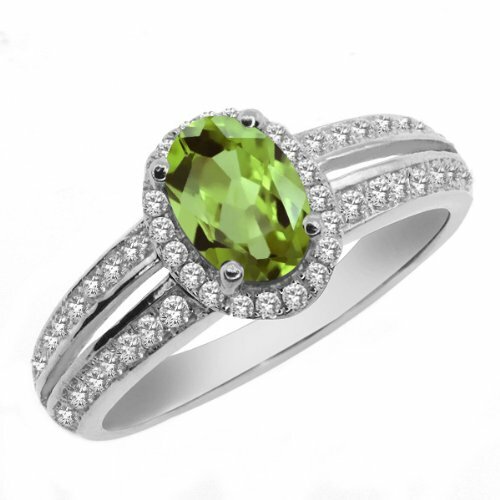 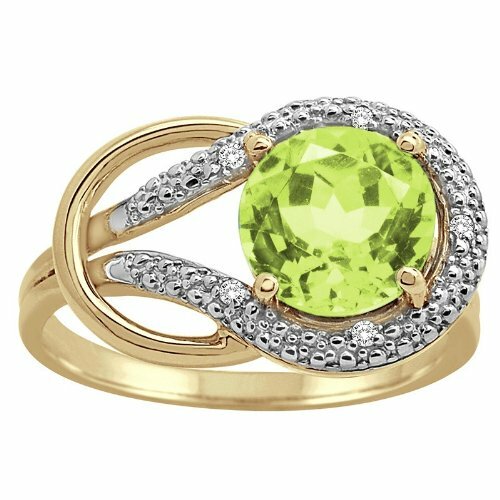 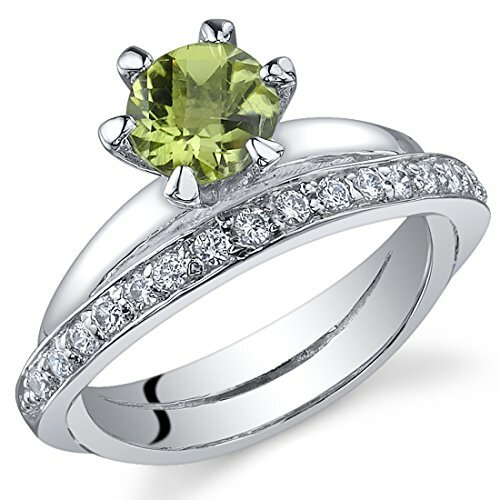 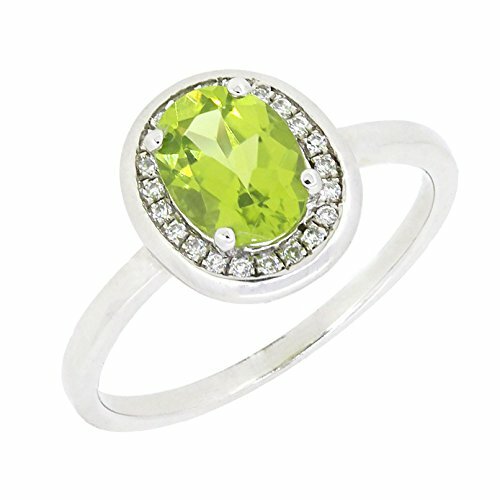 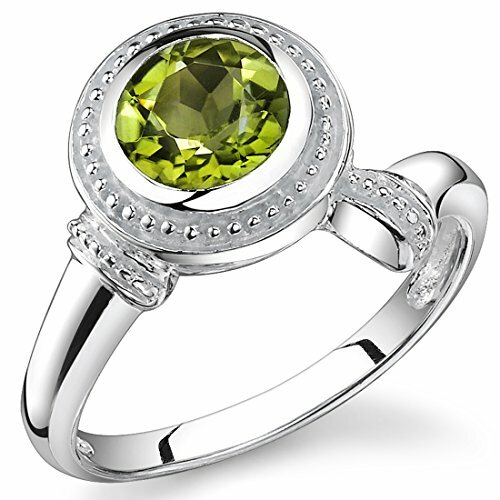 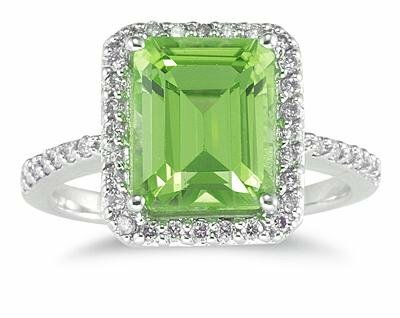 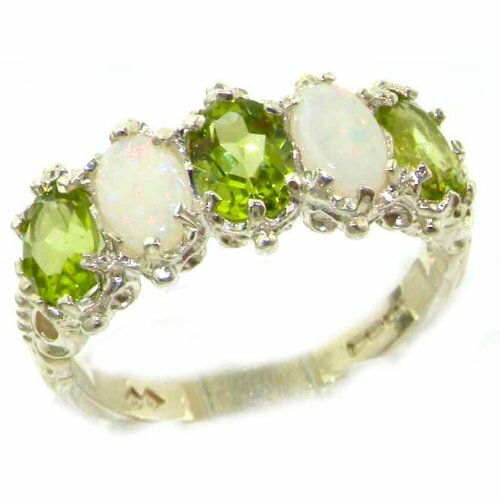 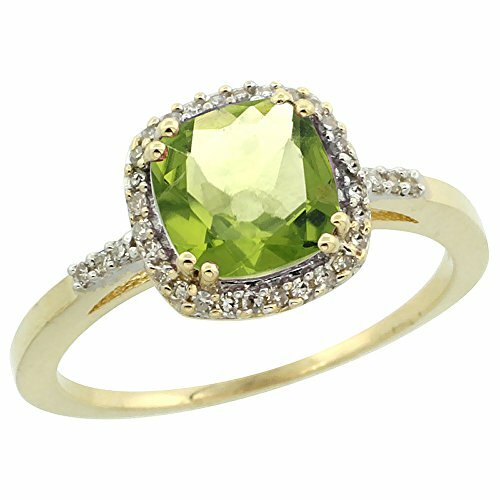 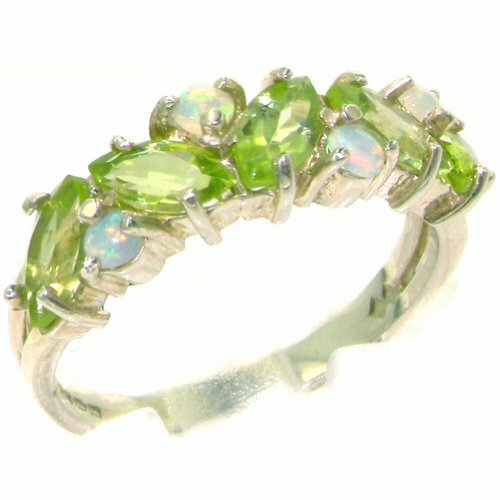 We guarantee our Art Deco Peridot Engagement Ring, 14K White Gold to be high quality, authentic jewelry, as described above.